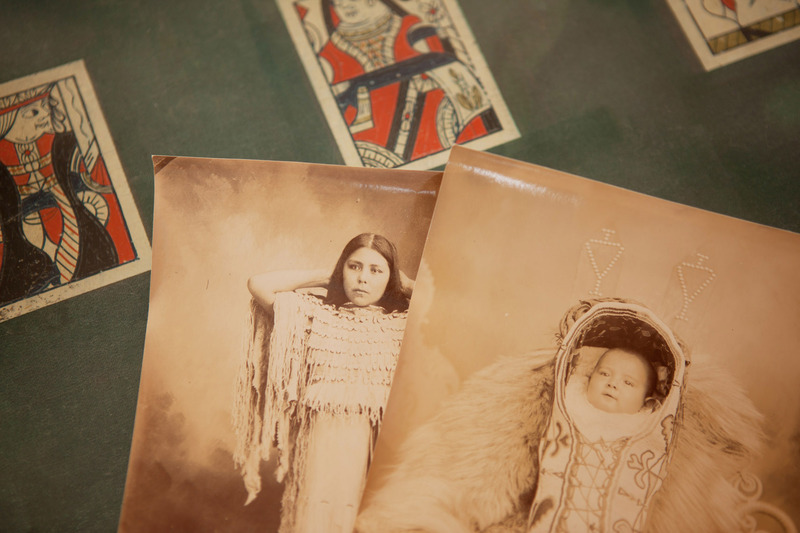 Jay Allen's collection of photographs of Native Americans made by his uncle. Photographed on card table from Crystal Palace Saloon in Tombstone -- gifted to Jay Allen's mother (Joyce Estes, a former waitress there in the 1950s) by the former owner. Rumor has it that the outlaws and lawmen, such as Doc Holliday and Wyatt Earp of Tombstone's storied past played cards on this table. Jay Allan, life-long Bisbee resident and founder of the Broken Spoke Saloon (a biker bar chain) is a celebrity in the motorcycle world.